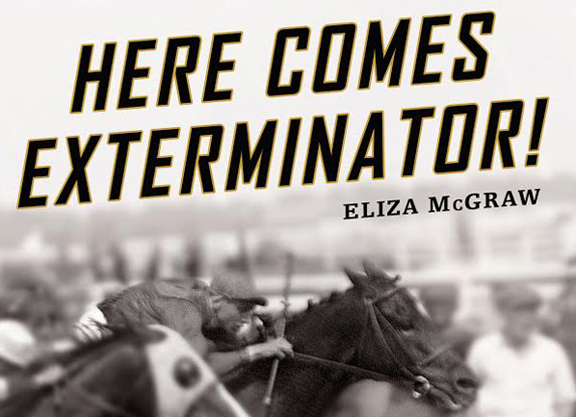 He still gets included on the list of all-time Thoroughbred greats if you extend the list long enough, but what hazy recollections come to mind when you hear the name Exterminator? Perhaps you remember him as the 1918 GI Kentucky Derby winner–as a gelding, no less–or maybe you recall tall tales about how much of a fan favorite he was nearly a century ago, even though Exterminator was, by the kindest accounts, an ungainly, plain-faced chestnut nicknamed “Old Bones” or “The Galloping Hat Rack.” He won an incredible 50 races from 99 career starts, and swept the Saratoga Cup four years in a row back when that race existed as a huge deal. You could gain even more of an appreciation for Exterminator if you cobbled together a set of his lifetime past performances. His exploits would be there right in front of you in black and white, which is fitting because Exterminator hails from a decidedly black-and-white era that spans the World War I years into the Roaring Twenties. But impressive as they are, raw statistics don’t even begin to tell his story. Exterminator’s impressive list of on-track accomplishments reads like, well, just a list without the context and texture that McGraw provides to widen our field of view. 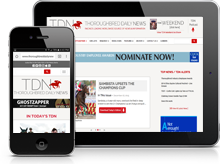 An unfashionably bred and extremely late (May 30) foal of 1915 who was born on what is now Ramsey Farm in Nicholasville, Kentucky, not much was expected of Exterminator early on. Yet the gelding with the laid-back demeanor of a cart horse plied his trade capably enough on mid-level circuits in Canada, and in the spring of 1918 he was purchased for short money to be the workmate of one of the Derby favorites. It is at this juncture that his tale takes on some depth, largely because of the personalities of his human handlers. Exterminator’s new owner, Willis Sharpe Kilmer, was an upstate New York millionaire who made a fortune peddling a quack pharmaceutical called Swamp Root. He built and shattered many things, including marriages, family ties, companies, and partnerships. Once he got into racing, he craved acceptance by racing’s upper crust but constantly found himself in the position of being “new money snubbed by old money.” Even though his horses got the best of everything, Kilmer at first regarded Exterminator as little more that a “goat” compared to his more accomplished Sun Briar, who he felt was destined to become the star of American racing. Exterminator had been purchased at the urging Kilmer’s private trainer, Henry McDaniel, a consummate horseman widely considered “less sober than a banker but more conservative than a gambler.” McDaniel was forever trying to outrun the shadow of his famous father, a Civil War-era colonel who had the distinction of owning and training three straight GI Belmont S. winners. As he attempted to overcome his wife’s 1914 suicide, the younger McDaniel was yearning for one great horse to save him, but his business relations with Kilmer made for a jarringly juxtaposed pairing: McDaniel was an upstanding racetracker who had legitimacy but was seeking a big break; Kilmer could afford to shell out lavish sums to buy big breaks but couldn’t quite purchase legitimacy. Even after the rains came and Exterminator upset the 1918 Derby (he was a superior mudder), Kilmer was adamant about relegating the ugly-duckling gelding to second-fiddle status behind Sun Briar. When the two subsequently were entered in stakes together, Sun Briar would often be “declared” as the horse with whom Kilmer was trying to win (this was common in the days before coupled entries), and the pretentious owner went to great lengths to prove to himself that he was right about which was the superior Thoroughbred. At one point, after closing day of the Saratoga season, Kilmer staged a time trial race in which Sun Briar was provided with a pacemaker to try and establish a record for the fastest mile. On another (secret) occasion that was not made public until years later, Kilmer supposedly held a private match race between Sun Briar and Exterminator. The result won’t be divulged here in the interest of not spoiling a good plot point. Some of the most interesting parts of McGraw’s book actually have little to do with Exterminator. For example, I have always wondered what happened to American racing during the 1910s decade. Most takes on the history of this era tell us the sport was dying off as a result of the temperance movement and an anti-gambling backlash. But a reporting gap generally exists where all of a sudden it’s the Roaring Twenties and the sport is portrayed as back to being robust and thriving. What exactly turned the tide between 1910 and 1920? The answer has to do with the subtitle of the book. McGraw details how the “remount cause” grew out of a very real fear that America, if it became drawn into the Great War, wouldn’t have enough horses to bolster a proper cavalry. Thoroughbred racing’s sporting men of means–the Belmonts, the Vanderbilts, the Whitneys–donated retired and active racers, stallions, and even surplus horses they bred specifically for the war cause to the United States government. It became not only a patriotic duty to do so, but a way to show the Allies (the British specifically, who scoffed at allowing poorly documented American Thoroughbreds into their stud records) that American horses were hearty, hale, and capable of helping to win a war. On the home front, the ingenious public-relations side effect of this effort was that racehorses became endeared to a new generation of Americans, and the sport was saved from disrepute and dissolution. Newspapermen like Grantland Rice churned out story after story about kindly Exterminator nosing for sugar in McDaniel’s coat pockets after carrying absurd weights in handicap races, and having so much energy afterward that he might drag his jockey an entire extra lap on the gallop-out. Exterminator is believed to be one of the first athletes–equine or otherwise–to be featured in a silent film, and even Americans who could watch him uncoil his characteristic late kick only on newsreels marveled at his dominance as an old-fashioned stamina horse who could seemingly run forever. Of course, “forever” was only supposed to be Jazz Age hyperbole, but Kilmer never got the memo. Over time he grudgingly began to respect Exterminator the way fans who sent the gelding crates of apples and cases of ginger ale (his favorite treats) did. But at the same time Kilmer became obsessed with having Exterminator win multiple runnings of certain stakes races before badly wanting him to break Man o’ War’s lifetime earnings mark. By 1923, Exterminator had been kicked by a rival prior to a race, picked up the disturbing habit of swishing his tail during races, and sometimes refused to eat after competing. When he developed osselets at age eight, Kilmer ordered his legs pinfired. McDaniel himself had been fired and rehired several times during the mind-spinning litany of trainers that Kilmer blew through, and by the time the gelding was $1,140 away from Man o’ War’s prize money mark, he was only able to chip away at it in increments of hundreds of dollars at far-flung tracks in Mexico and Canada. A nation of fans was split between calling for Exterminator’s well-earned retirement and wanting him to achieve the lofty earnings goal, a spectacle McGraw describes as “painful” to watch at the end. The racehorse that actor Charlie Chaplin had dubbed “the people’s horse” had been pushed to the brink, or as some would argue, past it. Today, almost a century after Exterminator’s era, consumers of horse racing literature practically demand “happily ever after” endings. Although Exterminator’s final on-track appearance was definitely not a joyous occasion, McGraw chooses not to end his story there, allowing him the poetic justice he deserves by recounting how for decades after his racing career ended, Old Bones still had a strong hold on the heart of the nation.